Would love to hear how other set collectors out there are doing against their goals and report in their progress. All the set collectors I know are usually into stats and spreadsheets (I am! Lol) to track progress and LOVE hitting milestones along the way. Here is where I am at, current goal is to attack the 1960's Topps base set runs, before I jump back into the 1950's. *Primary focus is on 1961 Topps High Numbers, mostly All-Stars, chipping at others when good deals arise. Re-Completing 64 & 65 due to upgrades and helping other collectors a year ago. Most recent complete was the tough 63 Topps. *3rd time I am putting this set together, not a big fan just thought it would look cool in the 63 Topps binder so chipping away. *Favorite player, just thought it would be cool to have each card in SGC graded 7 or higher. The hardest part is just availability unless I send in some myself, not sure if I am that interested enough to do that, although it would be a lot cheaper in the long run considering I have about 4-6 cards of each year easy, some I think would grade 7 or highter. Just easier to buy them already graded. Latest Milestone - Getting to 500 cards needed for the entire Topps 60's base cards. Seems like I'm almost there, only 500 out of 5, 987 cards, but then I think of the box of 500 that represents and some of the cards I have left, and it seems like I'm still climbing the mountain! Check in with your progess! I love hear how others are doing...and I know there are a lot of folks here that compete with me day in and day out for the same cards...I've said this before, I wish it wasn't so anonymous on these auctions, I would enjoy talking battle scars after some of the fights! Last edited by bobsbbcards; 09-29-2016 at 05:37 PM. I am under 10 cards left to complete my 1952 Topps set. All high #'s.....5 commons, some stars...but I have the Mantle. In addition, I have 6 or 7 gray backs and a number of variations. Last edited by Zach Wheat; 09-30-2016 at 06:17 AM. Bob -- 62 Supers ? Last edited by ALR-bishop; 09-29-2016 at 03:17 PM. I'm a set collector with a goal to have a complete base set from every year. Now working on the 1950 Bowman set. Need just 17 cards to finish. I just picked up #223 in my signed 1953 Topps set (Bobo Newsom). My other signed set project, which has been mothballed for now, is a 2007 Dunkin Donuts PawSox set. The sets were given out as a promotion, and I've never seen them signed other than the ones I have. I was able to get to 24/30 TTM, and added Jon Lester about 2 years ago through a Steiner signing. I don't think I'll be able to complete it because infielder Ed Rogers has evidently retired back to his native Dominican Republic, and I don't have a way to get in touch with him there. My 1973 Topps set is 81% complete. Putting it together one series at a time. About the begin the 5th series. I already have the Schmidt RC so that makes it a little easier. I am under 10 cards left to complete my 1952 Topps set. All high #'s.....5 commons, 6 stars...but I have the Mantle. In addition, I have 6 or 7 gray backs and a number of variations. Lol 5+6 is not "under 10"! Hardly any progress for me over the past 4-5 years. Life got in the way. 1964 Topps Giants - need Koufax, Mays, and a few commons. 1967 Topps - need Mantle and about 40 high numbers, including Seaver. The Giants I'm looking for NM, the 67s, vg-ex. Just completed a near mint 1971 set with all keys in PSA 7 holders. What a beast. 20% in on 1957 but finding it hard to find near mint lots as I love to buy, merge, upgrade, and purge. Last weekend I impulse bought complete 1960 and 1965 sets, which I'm going to tear down and rebuild. 1960 set arrived and is mostly sharp but 1965 is going to require a lot of work if I decide to keep it. Last night I bought a 213 near mint lot of 1960s so let the upgrading begin! I love examining the cards and deciding the condition winners and the losers. If I can't decide my wife is the tie breaker. I have the best wife ever. I received my first Old Judge (Brooklyn, Smith batting) in the mail today from Old Judge (thanks, Old Judge!) and she liked the card so much she said, "Are there more?" Oh, yes dear, there are more. There are more. My own progress is coming along nicely. Just 91 more cards to complete my Topps Run from 1952 through 1980. That excludes the 52 highs that I am not interested in. The bulk of those needed are 67 Topps high numbers. I have all the cards from the 1953-62 years. I also have 1969-1980 done. I have a few Bowman sets going, but only 1950 is complete. I have a few prewar sets complete...T205, E95, E96 and E210-1. I'm working on C46, E90-1, E210-2 , T212-2 and T212-3. I upgrade occasionally on the prewar, but rarely on the Topps run as I don't mind G/VG or whatever I get to fill the binders. All this activity has been after I swore off adding more sets. I was going to focus on my pre-war HOF collection which is my favorite portion of this sickness. I sure could use some discipline to keep focused, but it's all good! Very impressive devotion....something I lack as I get distracted with other cards I would rather have. Presently working on a 73 set, with HoFr's graded 7 and above. Made sure to get them out of the way first, and now all I have to work on are commons. Just over a third of the way done. Love the set! I always buy the commons first and then the key cards (graded). Based on how pricing is going up it would probably be wise to follow your approach! Finished a few sets so far this year....50, 52 and 55 Bowman. Started on 33 Goudey as well as 40 and 41 Playball sets....about 40% along with each of the 3. Still working on 51, 53, & 54 Bowman sets(need approx. a dozen between the 3 sets), 18 cards short on 63 Post, 8 short on 68 MB Win a Card (baseball and FB). In addition, still working on 65-80 OPC sets....30% on 65-68, 69 complete, 80% on 70-72, 95% on 73, 75, 76, and complete with 77-80 (0 on 74s). None of these sets are priorities, just pickup cards when they are a bargain. I too enjoyed reading about everyone's progress. My sweet spot for collecting is 1970's and 80's. I have an ungraded run of Topps baseball complete from 1974-1986, Topps football from 1978-1981 and 1984-1987, Topps basketball 1977, and Topps hockey 1971. Most of these sets are NM or better on average. I also have a completely graded 1975 Mini set in NM-MT+ as well as an ungraded set in EX-MT condition on average. The Mini's are my favorite. I'm currently working on an ungraded 1973 Topps baseball set which is 89% complete in about EX condition and a graded 1978 Topps basketball in Mint condition which is 68 percent complete. 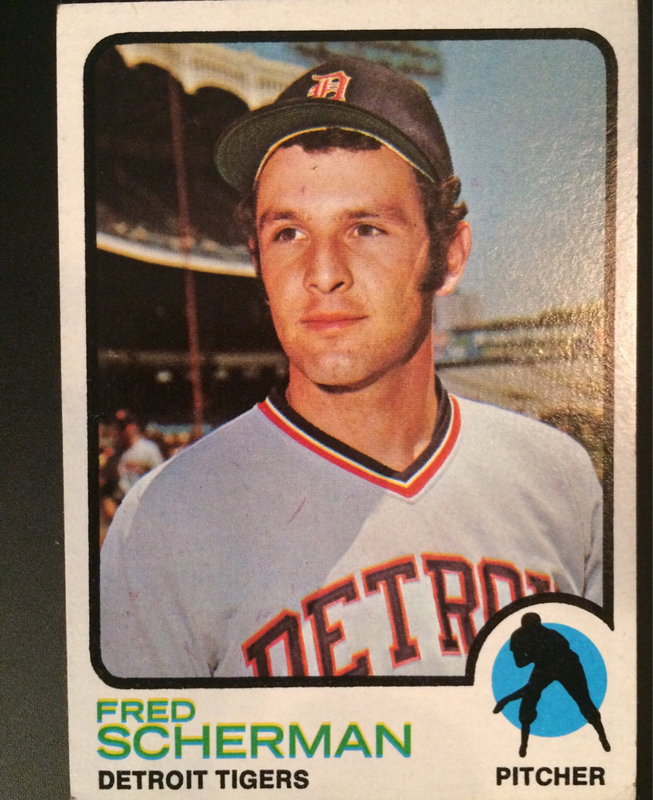 I'm also working on an ungraded 1971 Topps baseball set, which I'm completing by series. I have completed series 1 and 2 and will be starting series 3 soon. I've picked up most of the stars in the set, including the high numbers, all for less than $20 apiece. I think the only two stars I have left are the Yaz and Aparicio. I'm building the 1971 set without much regard to condition except that I want the cards to be readable, no writing, and not warped. Minor creases and wrinkles are accepted as are rounded corners and worn edges. I don't care much for scuffing of the surface. The average grade is VG/VG-EX. Good luck to all building your sets! Last edited by Nick55; 10-01-2016 at 08:22 PM. As one of those bucket list items that I started a few years ago, I'm putting together sets from 1969 to 1980. I have 1971-1980 complete with around 25 to go on the 1969 set and 80 cards or so from the 1970 set. The stats are in my sig, but I still need to update it slightly but it's still close. I bought the 1980 and 1975 sets, but everything else was put together. I also bought a complete 1976 SPCC set, which are very nice. I look at those way more than the 75s. The 1975 set is mid-grade but I don't mind. My 72 and 73 sets are somewhat surprisingly decent looking in the binders, 74, 76-80 are in pretty much excellent condition. The 1971 set is the roughest, and will be the first set I start to upgrade once I complete them all. As ugly as I thought the 1972 set was, once you get it into the binder it's a really great looking set. I was kind of disappointed in the 1975 set. The colors are different, but I think it's too loud and the pictures are marginal IMO. The 1974 set is one of my favorites. I had a bunch of them as a kid so I was familiar with 25% of the set. I really liked the 1973 cards as a kid, and I still like that year. My 1976 set has a few cards signed by Oakland A's players back when I was doing that 13 years ago or so. Bert Campanaris, Joe Rudi, Sal Bando, Gene Tenace, Al Dark. The 1978 is my personal favorite, being the first year I collected sports cards as a 9 year old. I liked 1980 when it came out since it had a 74 vibe to it, but 1979 is one of those years where familiarity breeds contempt. I bought so many that year and looked at them so much. Now I'm pretty much down to HOFers and SP high numbers for 69 and 70. I need Nolan Ryan for both sets, 70 Clemente, 69 Seaver, 70 Aaron, etc. I'm not picky on condition but I know at some point I'll have to bite the bullet on the Ryans. I have completed a couple sets already this year surprisingly. just finished the 64 Topps giants, have a couple sent out for grading and will probably upgrade a couple that aren't graded, should all be graded PSA/SGC 7 or better. finished my 70 Topps finally and 75 mini. I'm trying for 51 to present, so all I have is time. I have a lot of sets started, completed my 52 low numbers, earlier this year, and picked up a few hi numbers (no mantle yet). I have been focused on my 55, 56, 57 Topps. down to 5 big ones for the 55, aaron, robinson, clemente, mays and berra. 15 for the 56 and 11 for the 57. hopeful to keep those moving in the right direction. then on to finish my 53, 59 topps and 55 bowman. close on the 69 topps (10 cards) and 71-72 under 100 each. love hearing what other people are collecting and how they are making out with their sets. Probably what I should concentrate on myself. Signed set 1952 Topps is at 60% Like to pick up more if you have them. Last edited by tombocombo; 11-18-2017 at 02:57 AM. I have plenty of tough 1961 high numbers to trade, plus a wide variety of big stars and HOF'ers from other years. Everything can be seen in my bucket(s). Hit me up if you think we could put together a deal. Larry, thats amazing - I'm sure your list of completed sets is pages long! Out of curiosity, where do you find your cards - especially from the more obscure sets? Are you trolling eBay, do you go to shows, or what? I am finding it harder and harder to find the stuff I am looking for on eBay (at reasonable prices) as I get towards more obscure/older sets. '54 Topps--I have the 3 big rookies, both Williams cards, and 32 commons. I have other star cards from other sets that I think I might build around someday. However, I am getting a little bummed. I really love the idea of set building. In a sense, set building works for me because it allows me to spend a little here and there and not overspend in the short term and stay in budget. But, I know that over the long haul I am spending way more on commons and sets than they will ever be worth almost no matter how I go about it. I am not doing any of this for anything other than collecting fun, but my collecting pendulum is swinging back to just picking up selected cards from the sets that I find visually appealing. If I go this route, I can pick up a nice mid-grade or better star card/rookie every so often and probably eventually acquire most of the cards from the '50s and '60s that I want. It's just that when I am paying off one of the big cards over the course of a couple of months, I get to wanting to buy a little something. This leads me back to commons and the cycle starts all over again! Can any of you guys who collect on a budget relate to this? If so, how do you handle it? Thanks. Spend far less by not worrying about the tiny differences of a dinged corner or crease. I am retired, so I have extra time to spend on eBay. eBay does seem to be drying up somewhat, but I still find cards from my list. Being a member of an active trading group (OBC) has always been the key. When I find bargains, (cards I already have), I upgrade my sets, and then send off my duplicates (eBay pick-up last night 1959 Topps #561 Aaron All-Star card $3.99) I probably get three envelopes a week from fellow OBC members. I've attended 4 of the last 5 Nationals (stayed home from AC this year) and we have a great 40 table monthly show here local. I know most of the dealers who set up at our local show, but like eBay, it seems I see the same cards collecting dust in their showcases, but once in awhile I get surprised LOL! Almost every month one of my dealer friends will say "Hey I've got something for you". If I hear of a show within driving distance I will take the road trip. I also have "mail order" contacts and have built trust with several dealers, it's not uncommon for them to contact me. Like Brian just mentioned, I "go-low", and always have since I started back up in 1988. Over the years a lot of cardboard has rolled through here, and by constantly upgrading, I've built up a nice collection. I spend a lot of time with my cards, but that's what a hobby is all about, right? I hear what you are saying. For the most part, I have been a mid grade collector who doesn't buy much of anything high grade. The graded cards I buy are usually in the 3 to 5 range and mostly crease and wrinkle-free , with something a little higher on occasion. This range has been about the same for commons (just ungraded). In the past, I have considered not being so picky with condition. I am not talking about beaters, but not thinking a light crease in a few cards was the end of the world. If I am going to build as many sets as I want, I will probably have to let go on condition somewhat. Otherwise, I would just limit myself to buying the cards I really want from the sets I really want, which might allow me to buy something a little better grade but still mid grade. I can enjoy it both ways I suppose. Thanks for your reply. I really am disliking high numbers from the decade of the 60's but I "have" to get them I guess. Regrettably, my overall collection list didn't really get shorter as I added 1953 Bowman color, 1975 Topps Mini and 1947 Tip Top since I wrote earlier in the thread. After I picked up a trio of T3 Turkey Red HOFers, it also made me consider a low grade run on those to go with the handful I already had. 42 cards away from a super crispy NM 1960 set. 31% in my mostly NM 1957 set. Just got both Robinson rookies. Wallet says, "Ouch." I need the Mantles for all three in PSA 7 so keep me in mind for those if you are selling. I completed 55 and 54 a couple of months ago and have been trying to fill in some holes with 70's football and basketball while making sure that I don't spend the Christmas money. Last month, I picked up a nice deal on 75-76 NBA. I am closing in on a nice deal on 77 NFL. Come late February, I am going to look to buy a nice mid-grade 55 and 54 Bowman (with Williams). I am looking for stars in the PSA 6 range. I figure that I will look at the AH's for the best value - but if anyone has any of those that they might be cosigning and you want to split the difference on the potential BP, then please keep me in mind. Also doing some light upgrading along the way. It is a really weird thing when I get through a project. The 54-56 mission was 2 hard years of looking for deals, managing check lists, upgrading the binder, etc. Once it is done, it is a relief, but I find myself a tad lost as I am not on the daily hunt. On the surface this is a pretty mundane card, but it is the last card I needed for my 1973 set. I snapped the picture before putting it in the binder. Just FYI, it is #660. I always make sure the last card in the set is purchased last. Just one of my weird collecting quirks. When push comes to shove who wants 200 commons, eh? Sell the Mantle. I finished a 1964 Topps and a 1967 last year. I am thinking of reorienting my collection to complete sets starting from my birth year (1961) up...but I doubt I will. I am currently finishing a 1961 (slowly) and need 1962, 1963, 1965, and 1966. All pretty much collect grade. I'm so close to finally finishing/upgrading my 1961 set (less than 15 to go, but an extremely tough less-than-15 to go), but trying to find serious traders has become completely impossible these days, unfortunately. Hoping 2017 will get me over the hurdle. Frankie Conley was my last card needed to complete the T218s. It's such a wonderful set. It was a lot of fun putting together. I'm a little saddened the hunt is over. How bout I sell you the Mantle, and throw in 79 other cards! Break them up, son. Nobody ever moves partial sets. I just bought the Mantle (which I will post on the Mantle thread when it arrives), and last month, Todd gave me a great deal on 29 of the high numbers (including a few of the toughies) I needed, so I'm down to around a dozen commons and the Seaver. I had almost given up on ever finishing this set, but thanks to Todd, I am hopeful that I can put this thing to bed relatively soon, depending on being able to find the cards I need at a decent price. David- The T218 set is amazing, congratulations! What size pages do you have them in? They're regular 9 sleeve pages.. I just realized I posted this in the Post-War Section. Sorry about that! Thanks David, they look great in those pages. I sure wish one of the manufacturers would make T218/Goudey pages and 51-52 Bowman pages again! Love that set. The quirky photos and comical air brushing are so bad, it's good. The Luis Alvarado is my favorite card from that set.